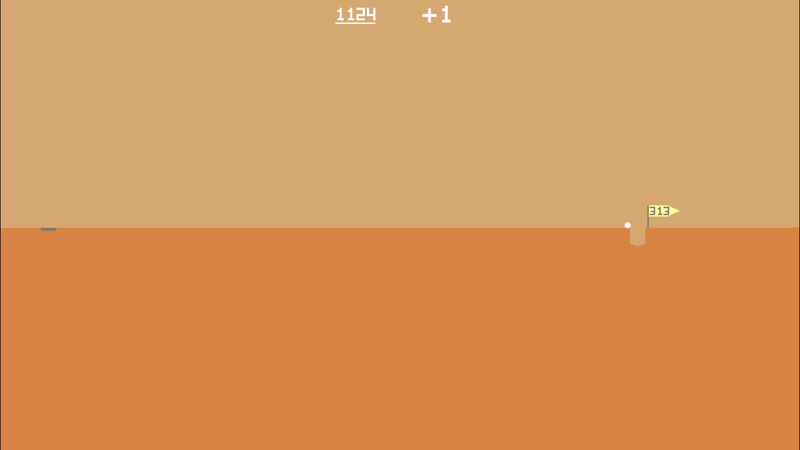 Desert Golfing is the $1.99 game with no end in sight. I’ll take on additional levels as updates to this post as interesting ones come up. Currently I’m on hole 669 1,201 and 2,095 3,550 strokes in. I don’t golf, but I know sand is a particularly nasty hazard. The sand physics in this game are fantastic. Every grain is accounted for. Impeccable. Sometimes I hit things just to see the physics on it. Even the colors progressively change as holes move on. See the comparison between hole 305 and hole 1201. 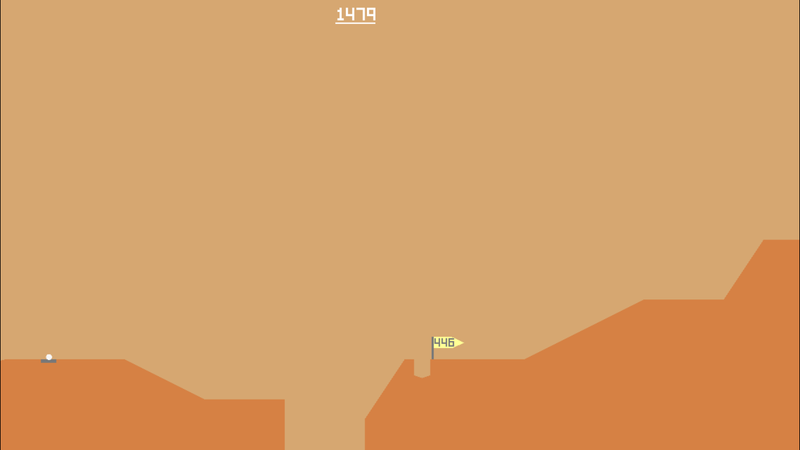 Probably the best thing about Desert Golfing, though, which in keeping with the theme is also the worst thing, is the game’s physics. Since you’re in the desert, the ground is made up of sand. Sand is your mortal enemy in “normal” golf games for a reason. It’s so cruel. It subverts your instincts on how you think a ball will travel at a certain speed or elevation. 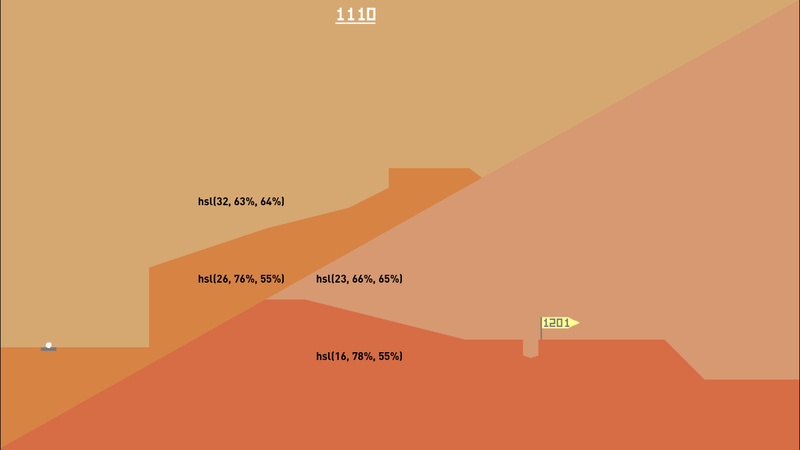 Desert Golfing sets itself apart with its monastic design simplicity. 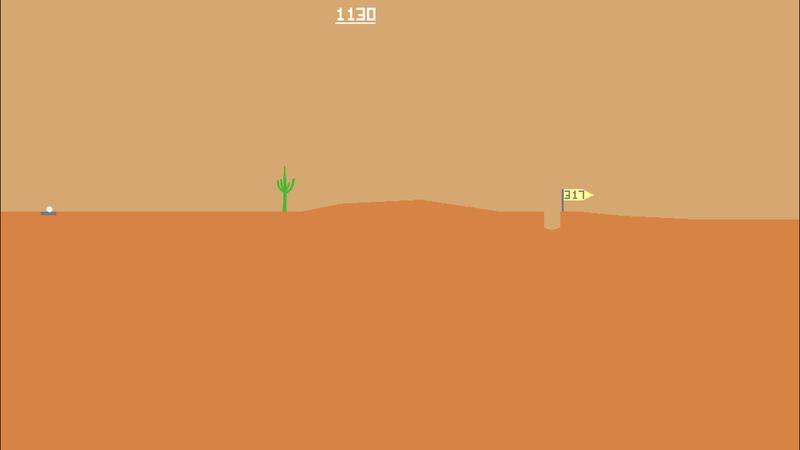 Every hole is a single screen, with no music, no visible player character, and no background scenery (save for the very occasional cactus). There’s no club selection, no items, and no changes in the uniformly sandy terrain. Hole 83. 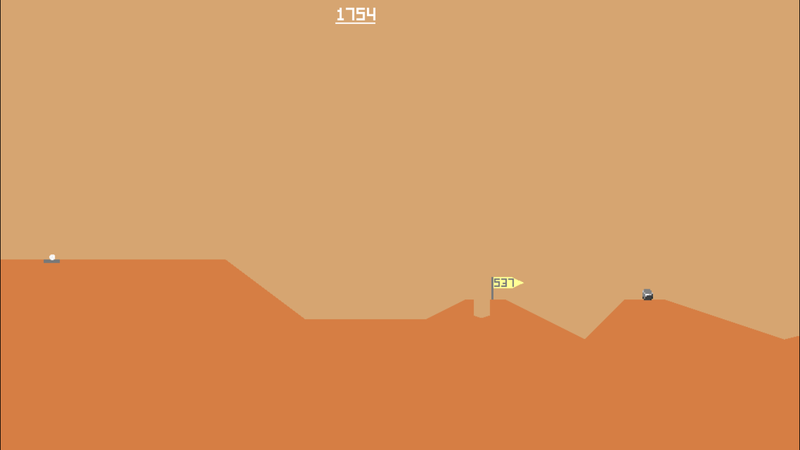 Hole 83 frustrated me so much that I deleted Desert Golfing. Then I redownloaded it and played the first 82 holes again just to get back to this level. I’m adding screenshots and additional updates here. If I get convinced I’ll delete and start re-playing the game with hole-by-hole notes. 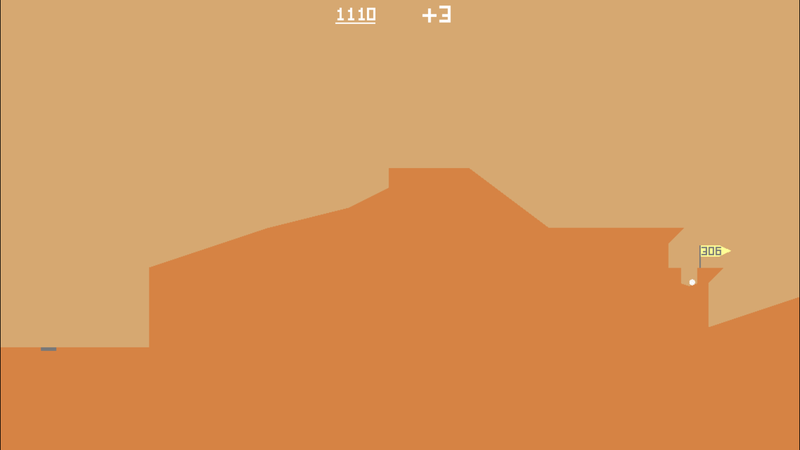 One of the few tricky holes I’ve done well on (three strokes). Flatter than a pancake and I still took two strokes. Devilish hole since it’s surrounded on both sides by slopes. Trick was to bounce off of the leading slope and getting it just right. Trash? Printer? Dunno what that is. Only because I hit 2,000 strokes. New average of 2.958 strokes per hole. Conclusion? Buy this game right now. Added Others Are Saying section, color comparison, hole 1,201, and updated averages. Go buy this game and get addicted.